Itâ€™s a great stroller. I love that the recline, layflat option, and big sun canopy. 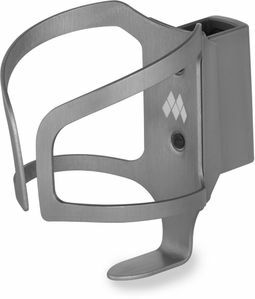 The buckle has patent pending and is difficult to operate and can stick. I am hoping it gets easier with time. Love the stroller! Easy to use and my little one loves sitting on this stroller and she seems very comfortable. I also love the style and Iâ€™ve been getting many compliments from other parents! The single front wheels, higher basket, higher seat, nicer canopy and softer fabric, easier fold are all worth every penny. Amazing upgrade. 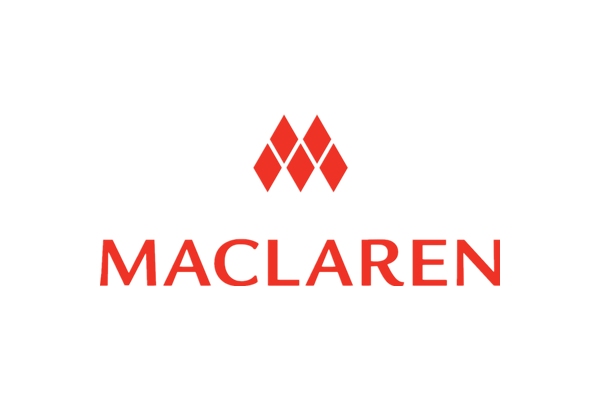 Maclaren finally got it right! So far I love my stroller. 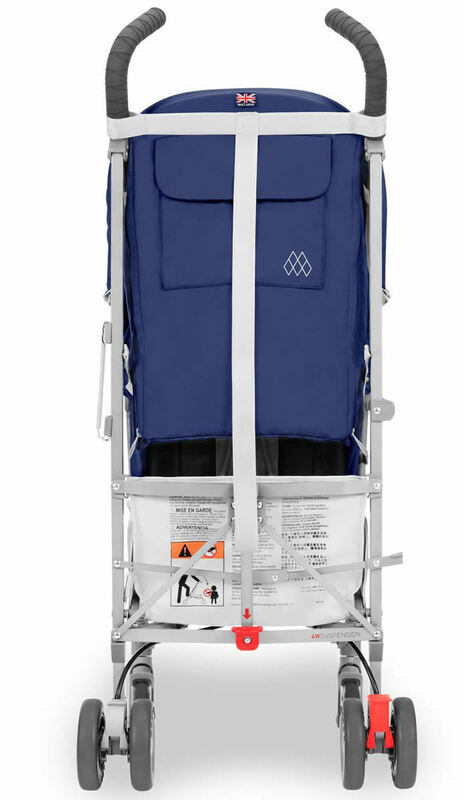 Super convenient and light weight. The only issue I have with it is the 5 point harness, but I think once I get used to them it won't be an issue. Okay, so some may call me the stroller connoisseur. 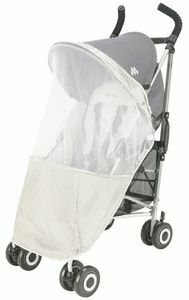 I have been on the hunt for the PERFECT umbrella stroller. 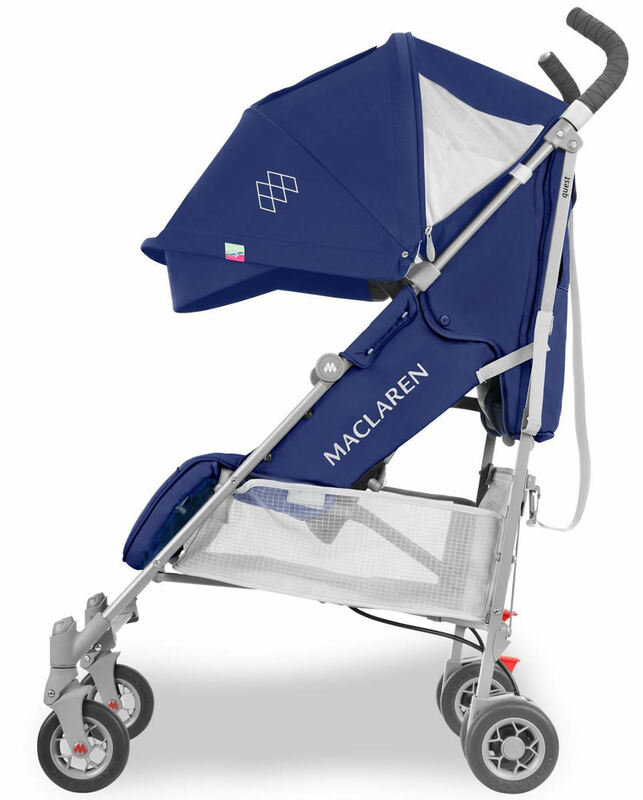 And I am here to say, Maclaren did it. 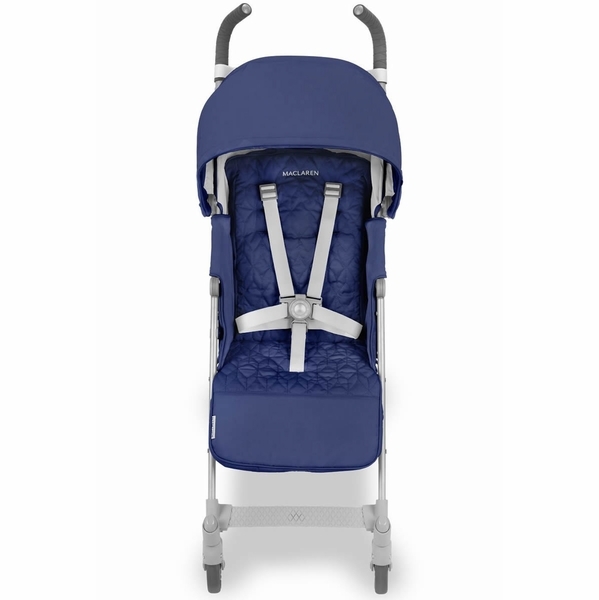 I recently purchased the UPPAbaby gluxe (2016/17) and the UPPAbaby gluxe (2018) and compared all 3 models. Maclaren is ahead by leaps and bounds. 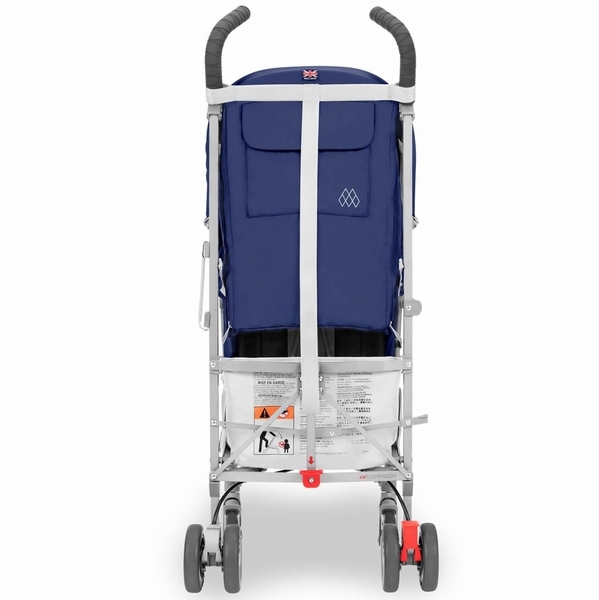 The stroller is so light weight, but functions as a full time stroller. The fact that it can be used from birth by adding the bassinet is huge!! 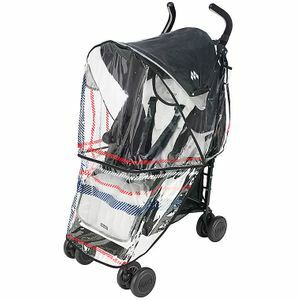 While the stroller is lightweight, it feels very sturdy for an umbrella stroller. 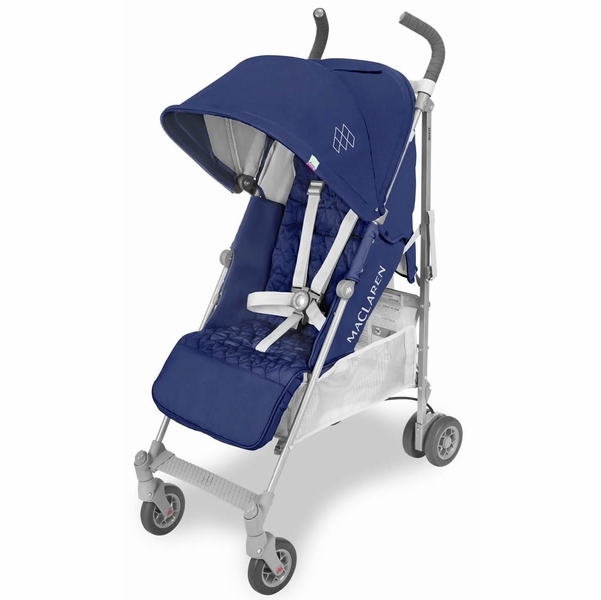 It fully reclines, the canopy is very large, and the seat is very comfortable. 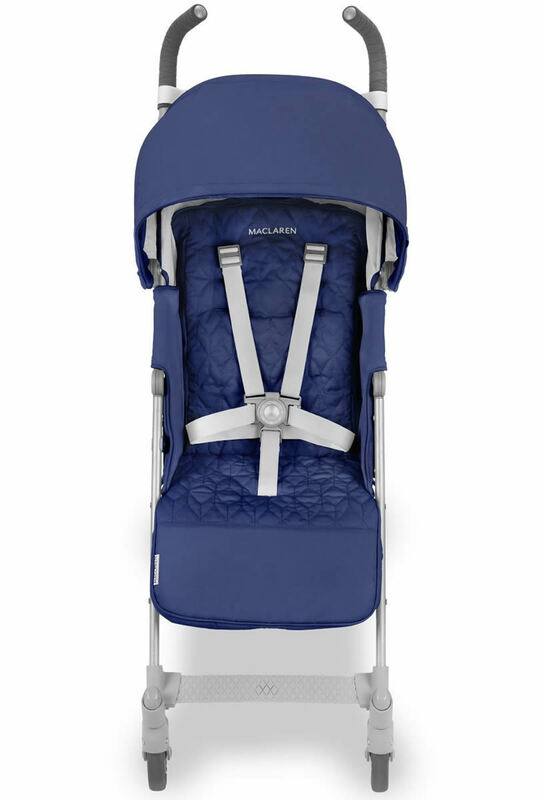 To add, you can buy SO many accessories for this stroller unlike uppababy brand. A footmuff for the winter, new liners to switch things up, AND this one comes with a raincover!! The color is SO nautical, with little crowns!! Perfect for a little boy!!!! 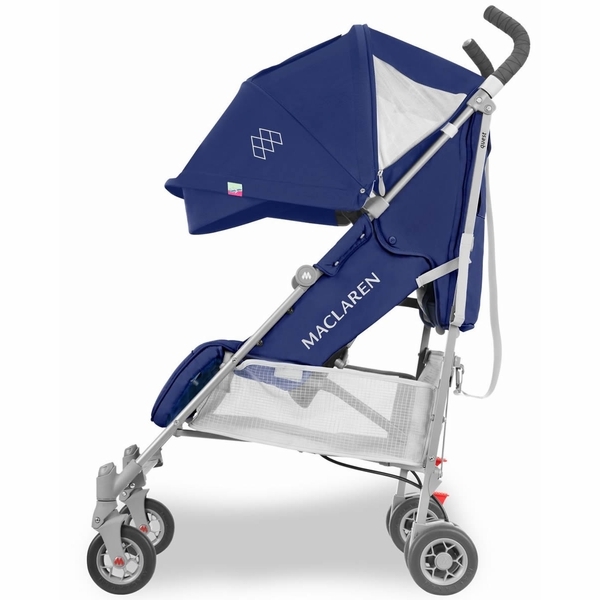 PLUS Maclaren offers a lifetime warranty!!! ConsDoesn't come with a cup holder, but can be added!! 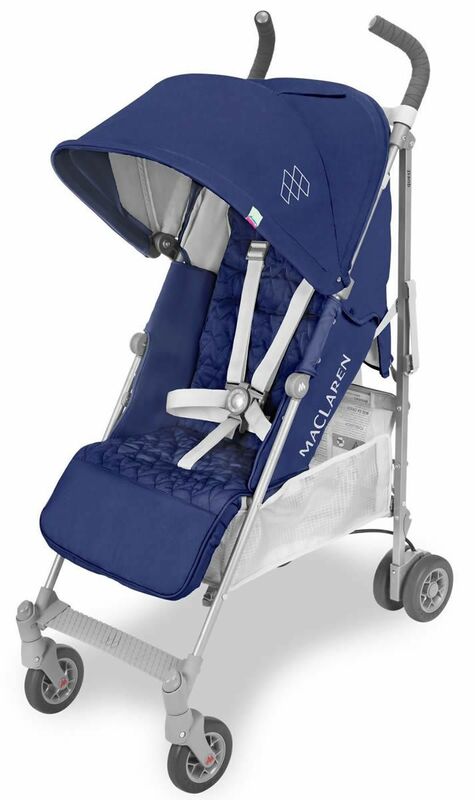 This isthe second Maclaren Quest stroller that I've owned. 1st was nine years ago. Purchased the second one for my second child, the color that I got is regency stripe. It is much easier prettier on person than in pictures. 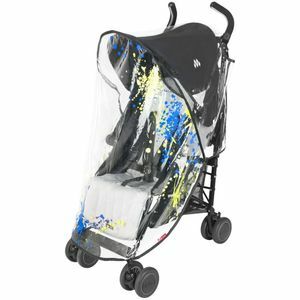 The little dots on the inside back of the stroller are actually little crowns, perfect for a little prince #8220;Now, this stroller has lots of convenient and well thought through features. 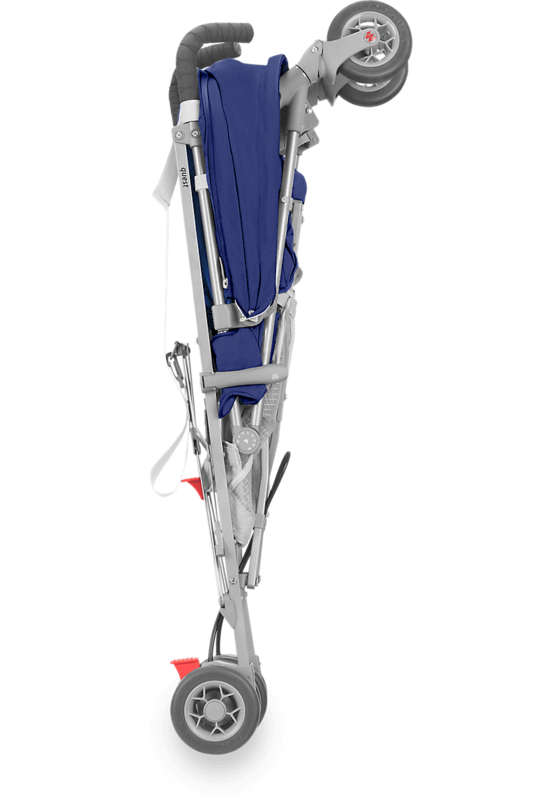 Bigger canopy, small but durable wheels, one-foot step brake, easy fold, full recline, light weight and compact footprint once folded. I love the color. The feature that I would add is a cup holder. It is a little hard to get into the underseat storage when the seat is fully reclined. Otherwise, very happy with this stylish stroller. 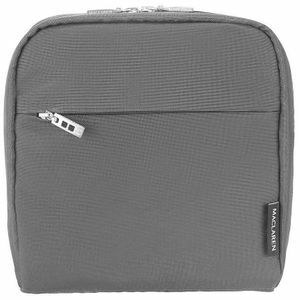 Macaren's ergonomically positioned handles nicely dampen vibrations for a smooth grip. 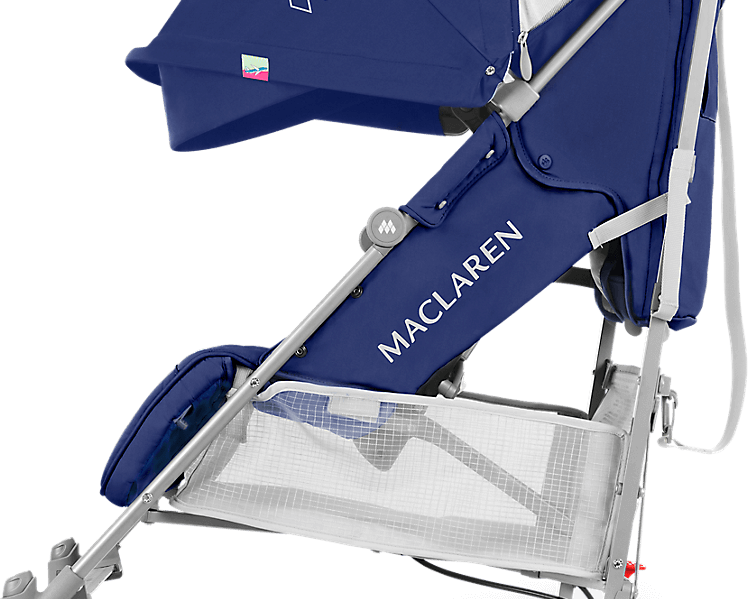 Five safety straps securely mounted to our aluminum frame mated with our exclusive two-finger release buckle making every Maclaren the safest seat around. Facing a flight of stairs? Carrying from car to curb? 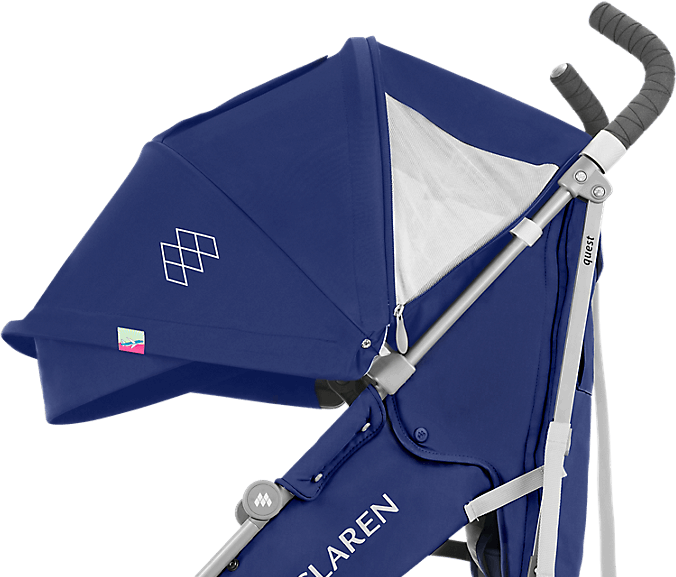 Easily sling a lightweight, umbrella fold Maclaren buggy from your shoulder to get through tight spots. Oh dear... have we spilled something? 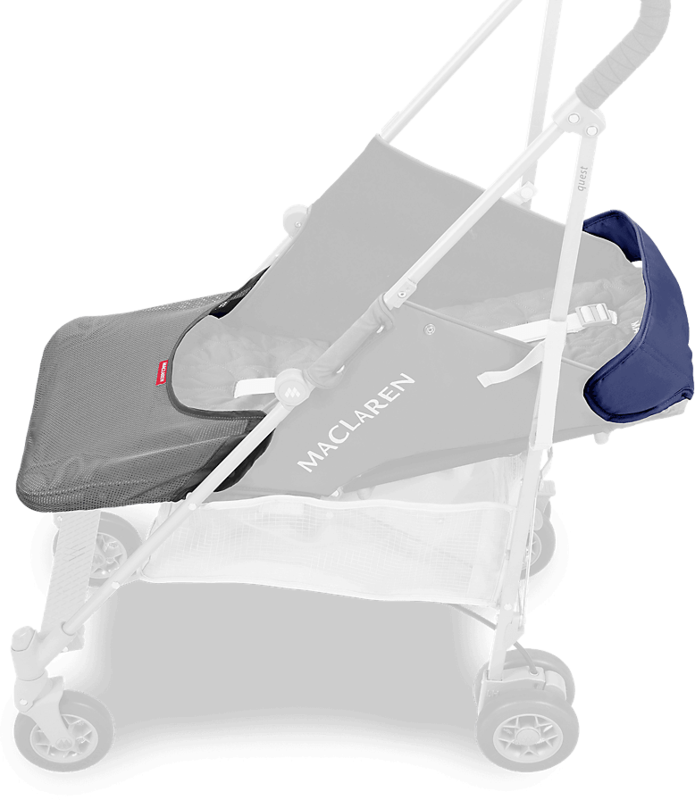 Fear not, every Maclaren seat can be easily removed and machine washed - an extremely useful trick not found on many other buggies... Machine wash in cold water on a delicate cycle and hang to dry.